The actress looks amazing for a 50 year old! 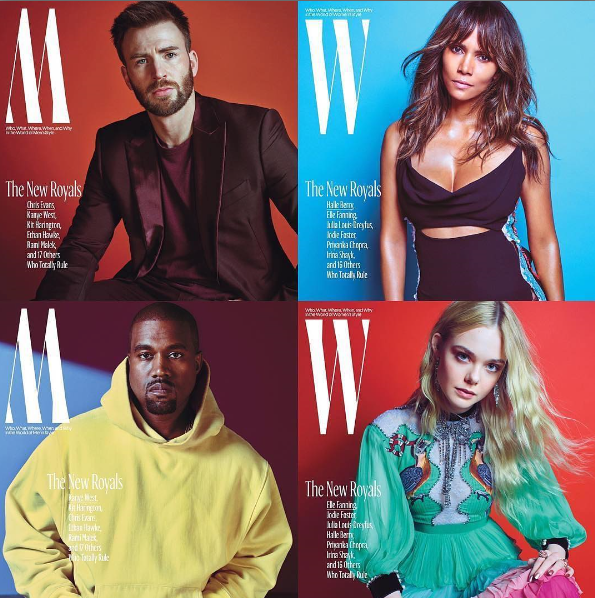 Halle Berry features in the October issue of Wmagazine . Meet the new Royals. Halle Berry was one of the original female stars during the first wave of comic-book movies, when she cast thunderbolts as Storm in the first X-Men movie in 2000, a year before she won an Oscar for Monster's Ball. Other stars featured in the same issue are Kanye West, Jodie Foster, Chris Evans, Ellie Fanning. More photos after the cut..